I’ve started doing some teaching at the University of Aberdeen, working with music students to develop critical thinking and reviewing techniques. My first session was last week and the student reviews of University of Aberdeen Symphony Orchestra’s first concert of the ’14-’15 season (Strauss’s Four Last Songs and Brahms’s First Symphony, no less!) will be up on the music department website early next week. While in Aberdeen I stayed in this fine art deco establishment. 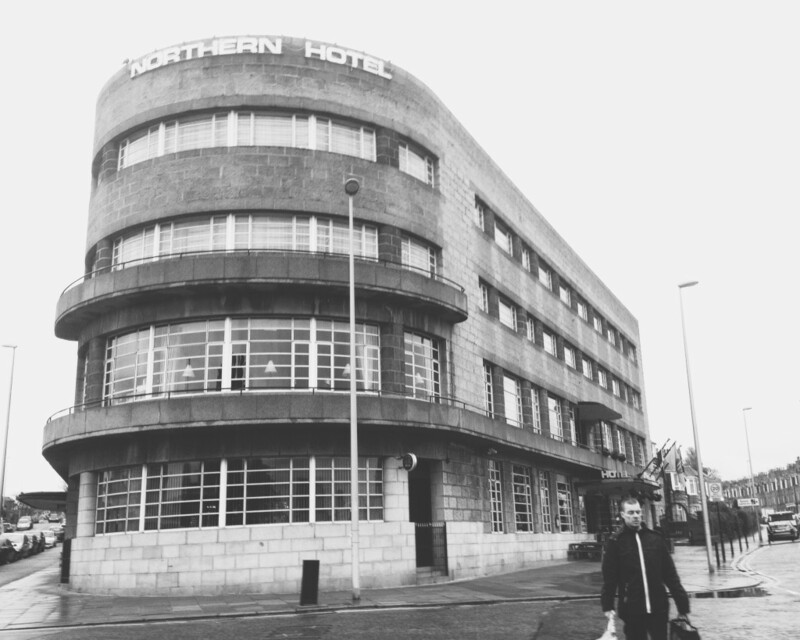 It was built in 1939, complete with violin-shaped ball room and one of the largest dance floors in the North East. A beauty. This entry was posted in Miscellaneous on November 29, 2014 by Kate Molleson. This entry was posted in Features, Miscellaneous on November 26, 2014 by Kate Molleson. Now in his third season as music director, Peter Oundjian seems to have settled into a genial, uninteresting rapport with the Royal Scottish National Orchestra. He goes in for glossy gestures and easy-to-digest interpretations. Beginnings, endings and big tunes are always emphatic. There’s headline impact. This entry was posted in Live Reviews on November 26, 2014 by Kate Molleson. 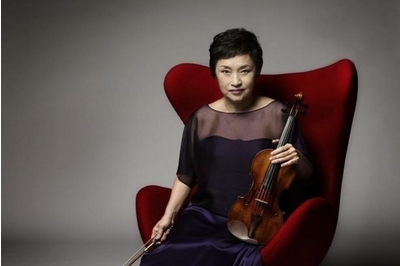 Kyung Wha Chung is back. “It’s hard to believe,” says the 66-year-old violinist, cheerfully slapping the coffee table as if to confirm that yep, all of this is real. “In some ways I feel like I haven’t been away, but on the other hand I had an incredibly enriching life while I was gone. Coming back onto the stage was completely unexpected. But here I am! Ha!” She lets out a raucous, hearty laugh. Chung is a lot of fun to interview. She’s feisty, spontaneous and caring; at one point she leaps up to wrap a jumper around my shoulders because she thinks I look chilly. In recent years she has been through the kind of painful experiences that might dampen the most resilient spirits, yet today she is as sparky and passionate as her classic fiery performances. This entry was posted in Features on November 26, 2014 by Kate Molleson. There was never going to be universal jubilation about Creative Scotland’s 3-year Regular Funding plan, announced last month. The arts funding body had £100m to divvy out between 264 applications; they chose 119. What a thankless task. For the 145 applicants who don’t feature in the CS ‘portfolio’ (the word of the moment) there are other routes to financial support, offered on a shorter-term basis but potentially amounting to similar annual sums. Last week’s surprise Scottish Government intervention awarding £1m direct funding to Scottish Youth Theatre (shared with National Youth Orchestras of Scotland, National Youth Choir of Scotland and Scottish Youth Dance) suggests the overall picture is far from complete. This entry was posted in Features on November 19, 2014 by Kate Molleson. Fielding Hope is a gentle, easy-going kind of chap: meet him on the street and you’d never guess he’s a major driving force behind Glasgow’s DIY music scene. Under the moniker Cry Parrot he has produced ear-bending nights of indie, punk, noise, electronic, experimental jazz, free improve, those misfits categories of ‘alternative’ and ‘underground’. His annual Music Language festival gave a platform to artists who usually operate below or beyond the commercial radar and introduced a substantially youthful audience to a slew of experimental sounds. As music booker at Nice’n’Sleazy he presented a roster of intriguing, artistically ambitious acts at the grimy Sauchiehall Street venue. As co-curator of Counterflows he helped bring some of the leading international acts in avant-garde music to Glasgow. His programming is like the best kind of music collection: if it’s interesting, it’s worth hearing. Inevitably some genres get less attention than others (straight-up folk isn’t really his thing and contemporary classical doesn’t get a look in) but still, the range is impressive. This entry was posted in Features on November 18, 2014 by Kate Molleson. Two Brahms symphonies in one concert is common enough; most orchestras can muster the requisite stamina and musical focus. But the two piano concertos? These are mighty, muscular giants of the romantic repertoire, composed a quarter of a century apart and feats of pianistic brawn. Few soloists are made of strong enough stuff to pull off both in one sitting. Elisabeth Leonskaja’s performance with conductor Okko Kamu and the Scottish Chamber Orchestra was not without problems and at times made me wonder whether audience endurance is another argument for keeping the works apart. But the 68-year-old Russian has a fundamental ability to scale the epic with grit and plainspoken poetry. What she lacked in brio she made up for in sturdy grace. This entry was posted in Live Reviews on November 17, 2014 by Kate Molleson. Packed hall, telly cameras, Beethoven’s Ninth; the BBC Scottish Symphony Orchestra mustered due pomp for the 60th birthday of its chief conductor Donald Runnicles, filmed for posterity and the orchestra’s website. All the cheerful on-stage chat (Runnicles described his relationship with the BBCSSO blossoming from love affair to marriage: “I can see their grimaces as I speak”) didn’t detract from the task at hand. This was a bold and luminous account of Beethoven’s great paean of humanity, full of a collective elation that cannot be faked. This entry was posted in Live Reviews on November 15, 2014 by Kate Molleson. Centrepiece of this America-themed programme was Michael Daugherty’s 1993 gimmick concerto Dead Elvis, in which a bassoonist dresses up in a King suit and gyrates while playing brash notes and fancy licks. “If you want to understand America and all its riddles, sooner or later you will have to deal with (Dead) Elvis,” Daugherty writes in his notes to the piece. Back when it was premiered the cynical sales trick was probably provocative; now the eight minutes of stock jazz tropes and ballsy post-minimalism seem tired, more show than substance. Granted, no bassoonist could have been more persuasive than the lithe, lush-toned Peter Whelan. Emerging from a puff of smoke in costume, quiff and shades, he made the instrument squeal and swoon – and all this from a noted baroque specialist. This entry was posted in Live Reviews on November 13, 2014 by Kate Molleson. It’s a strange business, being an orchestral leader. In simple terms the leader is the person who sits at the front of the violin section just beyond the conductor’s left elbow; who walks on stage after the rest of the orchestra is seated and takes a solitary bow; who plays violin solos when required then merges seamlessly back into the group. But there is so much more. 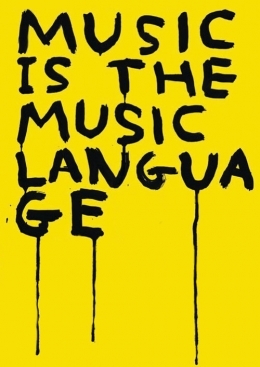 As tends to be the case in music, the magic that elevates the mundane is essentially intangible. Laura Samuel, who when she auditioned for the BBC Scottish Symphony Orchestra job four years ago hadn’t played in an orchestra since she was 18, says she never had a conversation about what was required. And yet anyone who has been at a BBC SSO concert in the past two seasons will know that Samuel is a rather special leader. 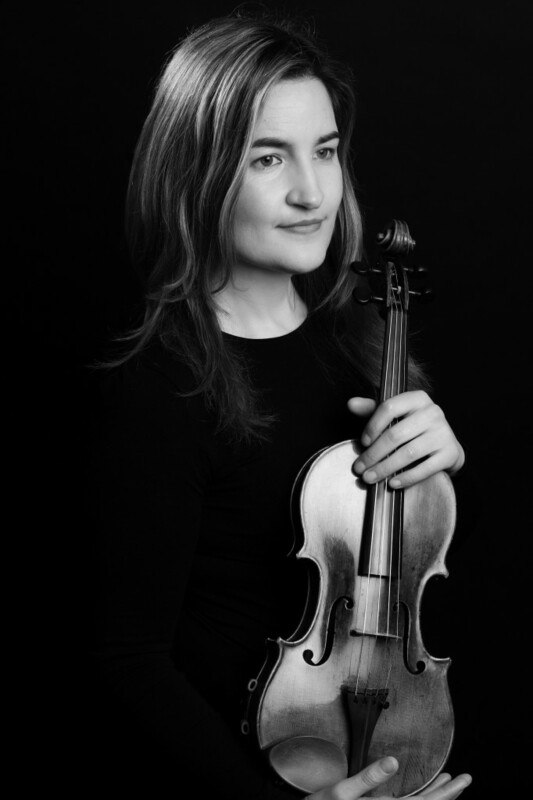 As co-founder and 16-year member of the Belcea Quartet, her panache as an instrumentalist is obvious: she’s a commanding, flexible, stylish musician. She leads with forthright gestures that are clear but never pushy or directive, and her stage presence is simple, unshowy, amiable. Under her leadership the BBCSSO strings sound terrific – full of energy, focus, depth and charisma. This entry was posted in Features on November 12, 2014 by Kate Molleson.